Here is a beautiful new jumper from Ralph Lauren. It is sturdy and well-proportioned. 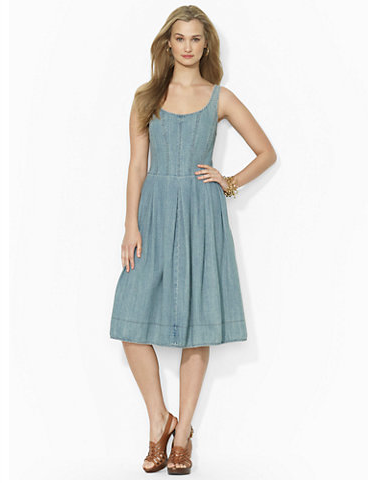 The knee length and drape of the skirt are traditional and flattering to a figure at rest and in motion. 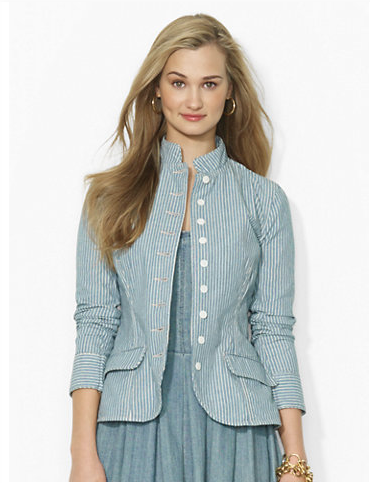 Here it is paired with a striped cotton chambray jacket. This jacket is a smart alternative to a cardigan sweater. 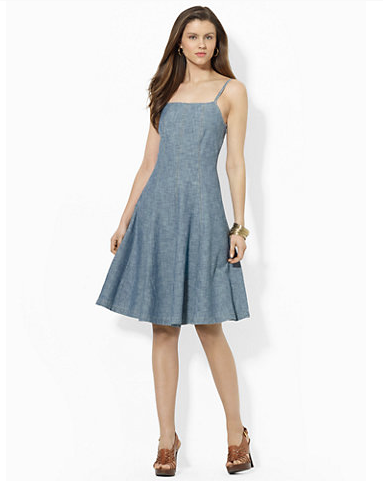 Here is a chambray tank dress. This drapes well and is a good choice for daily wear.